But while the growth of CCAs has led to heated debates across the state within the energy and political spheres, many local utility customers are either unclear or unaware of the subject — even as the City of San Diego slowly deliberates whether to hop on the CCA bandwagon to help it meet its Climate Action Plan that calls for 100 percent of the city’s electricity coming from renewable sources by 2035. It’s a complicated story but an important one because adopting a CCA affects what consumers pay, what kinds of energy sources a community purchases and who makes those acquisitions. It also tests the relative levels of trust and mistrust ratepayers have in their local power companies and local governments while raising questions about making decisions affecting an energy sector with a history of volatility, in a state where dramatic transformations are already underway. Community Choice Aggregation allows any city, county or combination thereof to form an entity to take over the responsibility for purchasing power for their community. About 75 percent of electricity supply in California comes from three investor-owned utilities — Pacific Gas & Electric in Northern California, Southern California Edison in the Los Angeles metropolitan area and San Diego Gas & Electric, which covers San Diego County and a small portion of Orange County. As the name suggests, investor-owned utilities are owned by shareholders, and these private electricity and natural gas providers are overseen by the California Public Utilities Commission, or CPUC. They are different from publicly-owned utilities, which are not regulated by the CPUC, such as Los Angeles Department of Water and Power, the largest municipal utility in the country. 1) Purchase sources of electricity (natural gas, solar, wind, etc.) to meet the energy needs of their customers and make sure the electric grid runs smoothly. 2) Maintain the transmission and distribution lines (poles, wires, etc.) needed to deliver the electricity. 3) Handle billing and customer service issues. Should a CCA be established, one big thing changes and two big things remain the same. The utility still maintains the transmission and customer service responsibilities, but the purchasing of power is done by municipal governments. Since elected officials often don’t have expertise in energy markets, many CCAs hire third-parties with experience in energy markets to perform all sorts of complex scheduling and marketing transactions. They are paid by the CCAs, using rates charged to their customers. CCAs typically offer customers three different energy programs — a default program, a program for solar and a more expensive program advertising use of 100 percent renewable sources. Once elected officials vote to form a CCA, all the electric customers in their jurisdiction are automatically signed up. Customers can remain with the investor-owned utility if they want to, but it’s up to them to contact the CCA and go through the opt-out process. Opting out is free, provided it is done within the first few billing cycles (usually within 60 days). After that, a small fee may be charged, although some CCAs don’t impose opt-out fees. The utility still does. A consolidated monthly statement will include a line-item for the CCA so customers would not receive two separate bills. The customer pays the entire bill and the utility then pays the CCA its share. Are the number of CCAs growing? Yes. There were fewer than 10 CCAs in the state last year but there are now 18, with a 19thexpected to come online by September. The state’s first CCA was formed in Marin County in May 2010 with 8,000 customers, many of whom wanted community choice in order to tap more green sources of power. Called MCE (short for Marin Clean Energy), it has grown dramatically and now serves 470,000 customers in four counties. 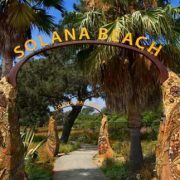 Solana Beach became the first community in San Diego County to establish a CCA, which went online June 1. What kind of effect have CCAs had so far? CCAs across the state have offered electricity from renewable sources ranging from 37 percent to 100 percent, with a statewide average of 52 percent, according to the Luskin Center for Innovation at UCLA. By comparison, SDG&E delivered about 45 percent renewable resources to customers last year, exceeding state mandates. Rapid CCA growth is expected to continue. In 2010, investor-owned utilities had 78 percent of the statewide market share but it dropped to 70 percent last year and the Luskin Center report predicts it falling to 57 percent within two years. PG&E mentioned erosion of its customer base due to CCAs as one of the reasons for shutting down the Diablo Canyon nuclear power plant. The City of San Diego is considering whether to create a CCA to reach the goal of the city’s Climate Action Plan that mandates 100 percent of the city’s electric needs coming from renewable energy sources by 2035. SDG&E is putting together a counter proposal that promises to get the city to 100 percent renewables by 2035. 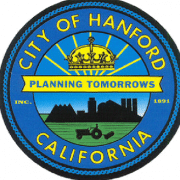 The city council is expected to make a decision by the end of this year. Why do some communities adopt CCAs? 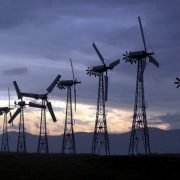 Some want more clean sources in their energy portfolios. Others want more local control, working on the premise that community choice can deliver lower rates for customers than utilities. Boosters of CCAs say community choice delivers on both fronts. MCE, for example, said its default program costs 2 to 5 percent less than Pacific Gas & Electric, the investor-owned utility in its area. But slightly lower bills represent only part of their attraction for fans of CCAs. CCAs tend to be “much smaller and more nimble” than investor-owned utilities “and they’re not paying for these exorbitant salaries and they don’t have bonuses and shares of stocks” to concern themselves with, Capretz said. Leaving the final say on energy procurement to elected officials is a concern, said Tony Manolatos, spokesman for the Clear the Air Coalition. The Clear The Air Coalition includes representatives of the San Diego Regional Chamber of Commerce, the San Diego County Taxpayers Association, two faith groups, the Downtown San Diego Partnership and lobbyists for Sempra Energy — the parent company of San Diego Gas & Electric. Under state law, a utility cannot use ratepayer dollars to lobby about CCAs but utilities can set up marketing divisions for that purpose, provided that shareholders, not ratepayers, fund them. SDG&E’s parent company, Sempra, did just that in 2016. In Marin County, MCE has a staff of 60 but officials say that represents less than 3 percent of its budget. Another concern centers on the size of a proposed CCA in the City of San Diego — about 1.3 million customers. That’s well over twice the size of the largest CCA operating in the state (East Bay Community Energy, based in Alameda County, with 550,000 customer accounts). If a City of San Diego CCA went belly up, critics worry ratepayers would be on the hook for financial liability. The Clean Power Alliance expects to grow its current customer base of 36,000 to just under 1.04 million by the end of May 2019. By then, its CEO said from an energy load perspective, the L.A. County CCA would be the fifth-largest load serving entity in the state, trailing only Southern California Edison, PG&E, Los Angeles Department of Water and Power and SDG&E. What about cities outside San Diego but still in the county? Since a City of San Diego CCA — at least in its initial iteration — would not include other cities and communities in the county, Haney Hong, CEO of the San Diego County Taxpayers Association, worries that cities like Imperial Beach or Chula Vista could be exposed to higher costs. 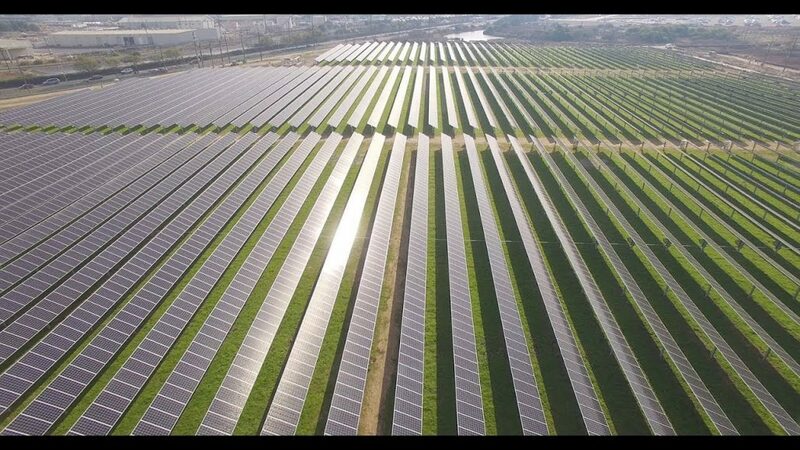 SDG&E in recent years signed power purchase agreements with energy providers under long-term contracts for renewables. But the price of renewable energy is lower today. That means a CCA can procure green energy sources at a lower price. That’s good news for customers in a proposed City of San Diego CCA but Hong sees a potential problem for communities in the county not in the CCA. Capretz said such cost-shifting concerns can be addressed by properly accounting for the exit fees CCAs pay utilities each month. Among the acronyms thrown around, there’s another inelegant set of initials to keep in mind — PCIA, which stands for Power Charge Indifference Adjustment. Once a CCA is created, the state’s Public Utilities Commission requires the community choice customers pay an exit fee, the PCIA. Why? Because of those long-term power contracts utilities signed to secure energy for their customers. The utilities commission mandates that customers going to a CCA do not burden the remaining utility customers with costs paid to procure those energy purchases and investments. 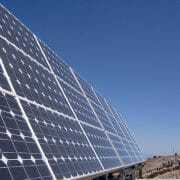 Power companies have also built infrastructure, such as natural gas and solar power plants, all with CPUC approval. The utilities procured many of the clean energy sources in order to meet the state’s aggressive climate goals via the Renewable Portfolio Standard. The exit fee is applied to each kilowatt-hour of electricity consumed by the customer and it shows up as a separate charge on every monthly bill. The size of the fee is critical. Utilities want to make sure it compensates them for the generation they have procured while CCAs want to ensure the exit fee doesn’t raise their customers’ bills too high. The utilities commission determines the fee, which involves a complicated formula. The exit fee is different in each of the service territories of the state’s three investor-owned utilities because each power company has a different mix of resources. In very general terms, the exit fee runs about 2.5 cents per kilowatt-hour for SDG&E residential rates. Last month, an administrative law judge for the CPUC proposed a new exit fee the utilities did not like. The full five-members of the commission are scheduled to make a decision on a new exit fee on Sept. 13 but CPUC watchers say they would not be surprised if a vote is delayed, given the details and debate. “If I were a community considering a CCA, I would want to know the resolution of the PCIA debate before committing to provide service to local residents,” said Matthew Freedman, staff attorney at The Utility Reform Network . One of the raps on CCAs centers on what is called “resource shuffling” — that the power being purchased from existing resources really doesn’t result in more sources of clean energy but simply moves them around to appear to reduce greenhouse gas emissions. Earlier this year, Voice of San Diego reported that Marin County’s MCE and another CCA in Sonoma purchased power from a utility in Washington state that operates two hydropower facilities, a clean source of power. But the Washington utility increased its own amount of coal and natural gas, indicating it may have replaced the hydropower it sold off to MCE and Sonoma with dirtier energy sources. Dawn Weisz, MCE’s chief executive officer, said her company has no control over decisions a seller makes regarding its own power supply. 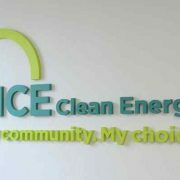 CCAs push back on that and say as the community choice movement grows, so will the number of their energy projects. Earlier this year, MCE unveiled a 60-acre, 10.5-megawatt solar farm in Richmond. Relatively few CCAs have entered into long-term supply commitments for substantial volumes of new clean energy infrastructure but community choice advocates say that will change as CCAs mature. CCAs are part of a much larger change in the way customers in California receive their energy — whether from community choice, rooftop solar panels or private groups called Direct Access providers who re-sell electricity. The changes are coming so fast it makes regulators nervous. CPUC president Michael Picker sees similarities to the bad old days of the California Energy Crisis in 2000 and 2001 when failed deregulatory measures resulted in rolling blackouts across the state. CPUC rules have been established making sure entities have purchased sufficient capacity, or resource adequacy. Some critics worry if there are big shifts in the market, CCAs in their development stages won’t have amassed the capital needed to withstand a financial shock. CCAs have bristled at any comparisons to the energy crisis. The trade group representing community choice, CalCCA, challenged the CPUC report, saying in comments filed in Junethat safeguards are in effect to prevent a replay of what happened 18 years ago. All eyes are on the upcoming decision by the CPUC on the exit fee/PCIA. San Diego’s city council is not expected to make a decision until that’s resolved. A feasibility study released last year predicted a CCA has the potential to deliver cheaper rates over time than SDG&E’s current service, while providing as much as 50 percent renewable energy by 2023 and 80 percent by 2027. 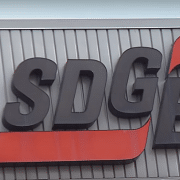 SDG&E’s counter proposal to get to 100 percent renewables by 2035 has so far produced a rough outline for a “tariff” program that would charge ratepayers the cost of delivering more clean sources of energy over time. Some council members have expressed frustration more specifics have not been sketched out. CCA 101: How does Community Choice Aggregation work? What you need to know, by Rob Nikolewski, The San Diego Union-Tribune, September 9, 2018.